One Trick: RIM to launch 6.1 update as BlackBerry 7 OS at BlackBerry World next week? 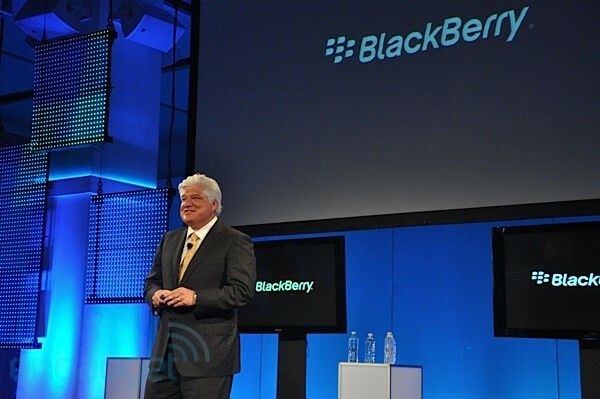 RIM to launch 6.1 update as BlackBerry 7 OS at BlackBerry World next week? CrackBerry has just dropped word via "numerous sources" that RIM will be revealing the next iteration of its mobile OS at the fast approaching BlackBerry World conference -- and no, it's still not QNX. Despite consistent rumblings that upcoming devices like the Bold Touch, and Monaco would be launching with OS 6.1, it seems that RIM has decided to re-brand the update completely as BlackBerry 7, perhaps to increase the value proposition and differentiate new devices being announced along with it. However, the site also speculates that current phones running BB6 may not get any BB7 action right off the bat -- which could make sense, given that new features like NFC are only present in upcoming devices. All this is naturally unconfirmed, but if this is indeed yet another version of the BlackBerry OS, well, that certainly won't help the platform get any more developer love.